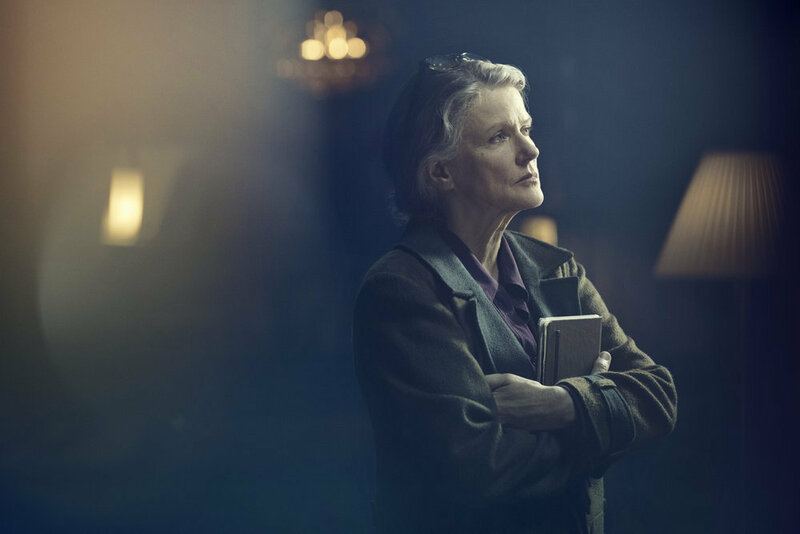 Home / TV / ’12 Monkeys’: Who is The Witness? If you’re a 12 Monkeys fan, this is likely one of your most fervent questions. Back in Season 1, Episode 11 of 12 Monkeys, I became convinced that Ramse was The Witness. It was a masterful episode that revealed how he became a reluctant time traveler in order to preserve a future where his son Sam exists at the cost of billions of lives. 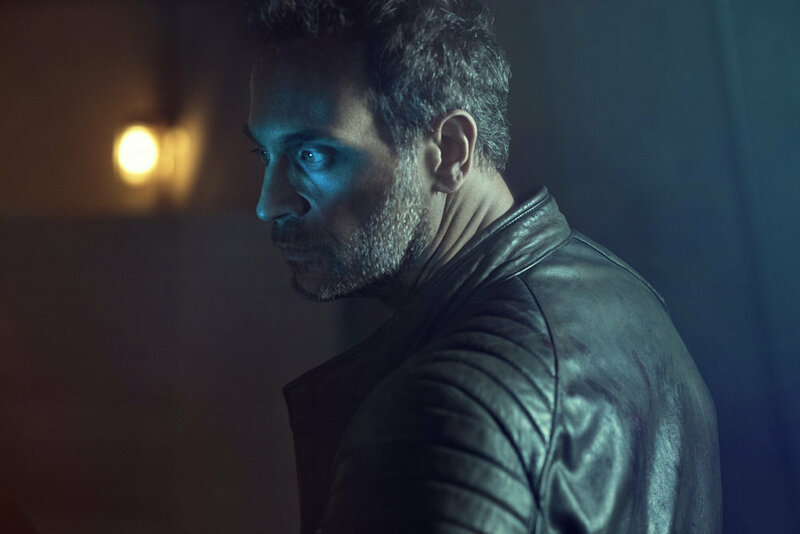 But by the end of the first season’s finale, it looked like he was not the mysterious figure guiding the Army of the 12 Monkeys after all. He was merely another pawn in their plans. So who is The Witness? This person’s identity has yet to be revealed on the show, but we do know a few things about this enigmatic character. It seems that people can only come into contact with The Witness after ingesting crushed red flowers/leaves (that must be plant life affected by time anomalies) and brewed into hallucinogenic red tea. We first met it after Jennifer Goines was kidnapped and drugged by the 12 Monkeys. 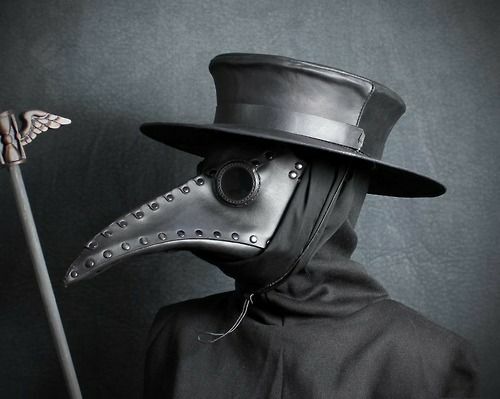 He/she is seen approaching her wearing a plague doctor mask. This mask was meant as an early containment suit, which is pretty appropriate given that it wanted to release a plague unto the world. When Olivia and the Pallid Man also kidnap Cassie, she is forced to drink the same red liquid and begins to hallucinate that she is in a red forest. Olivia guides Dr. Railly through the vision where she walks through the forest and sees a house made of cedar and pine with The Witness waiting for her. This mysterious individual appears to know what is going to happen and likely created the Army of the 12 Monkeys to do its bidding. From Episode 3 of Season 2, we now know that The Witness wants to destroy time itself, but the important question is why. The plague was only part of the plan and now that it has been stopped, the messengers were sent from the future back to 1944 to kill primary Tommy Crawford Jr. so that the time anomalies would begin. So who could The Witness actually be? Do we already know this character or is it someone completely new that we haven’t met yet? 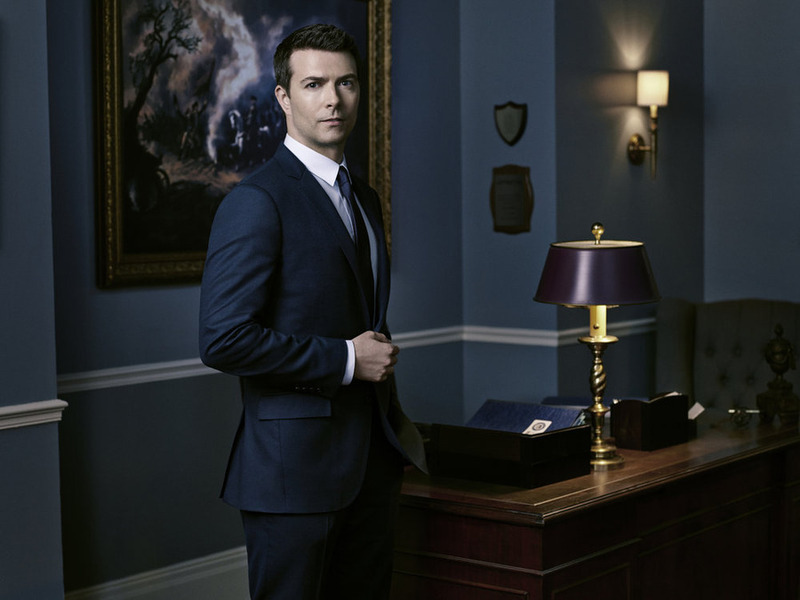 Could it be Aaron, Cassie’s political aide ex-boyfriend who supposedly died last season after being doused in flammable solvents and trapped in a burning room? Dr. Railly and Cole think he’s dead but is he REALLY? Could he have somehow survived and wears the plague mask to hide his disfigured face? What about Jones? Perhaps a future incarnation of herself thought that somehow destroying time would allow her to be reunited with Hannah (her daughter). In the speech spoken by the Messengers when they killed both Crawford men, they believe that time is an illusion that makes us believe in death and that they would see each other again in the Red Forest. 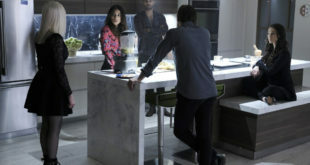 When Jones met with old Jennifer in Season 2 Episode 2, the leader of the daughters essentially said that time wasn’t linear. Tommy had also explained as much to Cassie. While the scientist condemned Ramse for sacrificing billions of innocent lives to save his son, perhaps her own views are altered for some unknown reason in the future and she determines that this is the only way to be with Hannah again. While The Witness was referred to as “he” in Season 2, Episode 3, I’m going to just include her in because hey, there could still be some crazy twist in store for us. Ramse’s young son Sam could potentially be The Witness when he grows up since he would need the plague in order to exist at all. He may also be motivated to destroy time in order to be with this mother Elena again. If he grows up in the compound, he would likely know all the things that Jones and Team Splinter did in the past, would have access to all of the information they’ve collected on the plague, and possibly even become a time traveler himself as an adult. While this seems like a slim possibility, what if Deacon was using the West 7 as a cover to get inside the Splinter facility for other purposes (like destroying time)? He did help The Messengers break in there in the first place. Maybe something in his past will reveal some hidden motivation and show us another side of the ScavKing that could be capable of planning and scheming that spans across decades. Still, it could even be some rogue primary who knows about the future and wants time to collapse so that the voices will stop. While the show continues to keep audiences in the dark on who this powerful person is for now, I think we can cross out Jennifer, Olivia, Pallid Man, Cassie, Cole, and Ramse as contenders. Whoever this being is, the 12 Monkeys view The Witness like a god who is prophetic and all-knowing. Their faith is unwavering and I can’t wait to find out how “he” or “she” came to be and amassed an army. Who do you think The Witness could be? Let us know in the comments section! For all things 12 Monkeys click HERE. I agree. I think He will lose Cassie and realize that it cannot be changed because that’s what is “suppose” to happen and so he decides to destroy time itself. And then in S02E05, when Olivia wants to kill Cassandra, the Witness gets very angry. I think it’s an alternate version of James Cole- the one who saw his father killed by the tall man. Or, it’s Sam, Ramses son- who is being raised by an older version of himself in the red forest. Its Sam there we have the Why! Video agree. It’s Sam. Only thing that makes sense. I think Deacon is the witness. First because he used to read a lot, so he knows things. Second, he shakes the same way as witness do. He cares about Cassie, a lot and he needs someone doing the hard stuff as Cole is doing. Totally has to be Sam. He got thrown somewhere in time and they never show us what year but he went way back. It would be classic television to have a father betray all his friends to back in time to stop Cole from saving the world so he could save his son. So it would make the perfect twist that Ramse does all that to save his son just to turn out his son was witness all along and was the person that destroys the world. Have always thought Cole is the wintess all others are red herrings. Cole will be at titan with Sam. The wintess says from 1957-1959 this was home. In the preview for next week it shows cassie walking up to that house. My theory Cole and cassie get stranded in the past for a few yrs and have a child, Cassie or the child dies. Cole becomes the wintness he is the only one besides Jones who could spoke the word of the wintness . The last episode of the season is called the blood washed away. Omg it’s Cole’s and Cass’s son or grandson. The only way to have stopped end of time was to prevent their hooking up. Love the irony! I agree! It’s not Cassie because the Witness took the time to interact with her. It’s not likely Cole (but not ruled out). The house is a hub of some sort so there needs to be a connection to the two of them on some level. The subtle events of the day leading up to a possible conception are part of the mantra of the twelve monkeys – the blood washed away etc. Being the child of two time travelers could have some unwanted side effects. A product of the manipulation of time who has the ability to bend time – only to lose everything to time thereby causing a hatred of time. Time will tell.